myblu™ Green Apple pods are a fantastic all-day vape for fruit lovers. 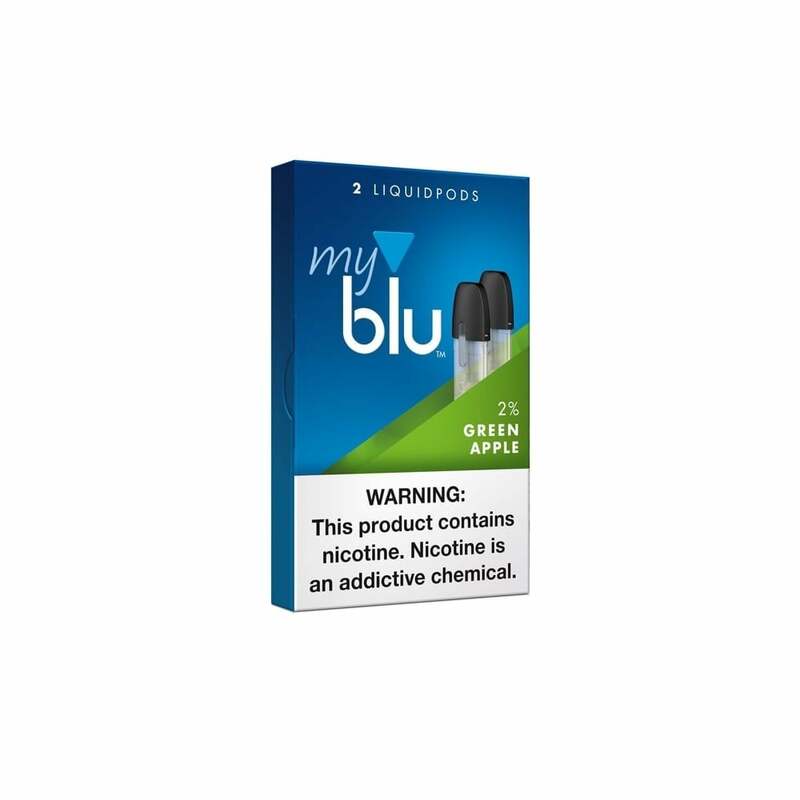 Full of crisp, tangy green apple flavor, myblu Green Apple Liquidpods are refreshing and bold in equal measure. I've been using these pods for a while now and am very satisfied with the quality and consistency of the nicotine and flavor. I normally hate apple, but I really liked this flavor. Tastes like candy! Very fruity! One of my favorite flavors! Tastes like medicine. Leaky top and bottom... have to tap it constantly to avoid dry hits. Very spot on apple flavor. Not artificial tasting at all.